Naval Air Station Oceana (NTU) in Virginia Beach, Virginia, had their big 2017 Air Show on September 16th and 17th 2017. The US Navy’s East Coast Master Jet Base, about a mile away from “Feet Wet” on the Atlantic Ocean, is home to all of the Strike Fighter Wing (VFA) Squadrons, US Atlantic Fleet, with over 330 F/A-18 A-D Hornets and F/A-18 E-F Super Hornets assigned. 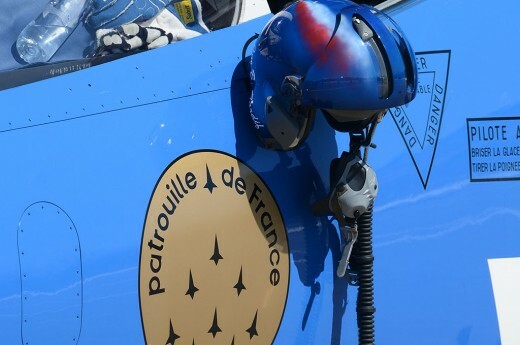 The mission of the Base is to support the operation, readiness and training of the seventeen tenant VFA Strike Fighter Squadrons and their crews that call NAS Oceana “Home”, as well as enabling joint force operations and training. Ocean also functions as headquarters for subordinate facilities including: NAS Chambers Field at Naval Station Norfolk; the nearby Dam Neck Annex, home of SEAL Team 6 and their associate units, and Naval Auxiliary Landing Field Fentress, located about 10 miles to the south on Mt. Pleasant Road, Route 165. 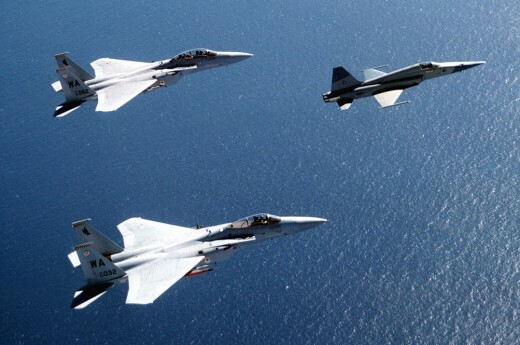 Training is conducted by VFA-106 Gladiators in their F/A-18A-D Hornets and F/A-18E/F Super Hornets. VFA-106 Gladiators also supports the East Coast Hornet Air Demonstration Team, a 2-plane unit that travels to numerous east coast air shows (including this one today) demonstrating the operational capabilities of the F/A-18 Hornet carrier-based fighter. NAS Oceana, officially known as “Apollo Soucek Field” named after a Navy Test Pilot who set the global altitude record in 1930 by flying a Curtiss “Hawk” biplane to an altitude to 43,166 feet, has four runways: the two east-west parallel runways that ingress and egress over the Virginia Beach hotels – 23R / 5L at 8,000 feet x 150 feet and the longest 23L / 5R at 12,008 feet x 150 feet and the two north-south parallel runways that usually ingress from the north – 14R / 32L at 8,000 feet x 200 feet and 14L / 32R at 8,001 feet x 150 feet. The City has allowed a small parking lot to continue in use on Oceana Boulevard at the approach of 23R and 23L that provides for excellent viewing of inbounds on short final from over the hotels on the beach, if the wind is blowing out from the west / northwest. There is also a Memorial Park viewing area about a mile south that provides good public viewing of the Control Tower and T-Ramp areas with good 10 x 50 glasses. 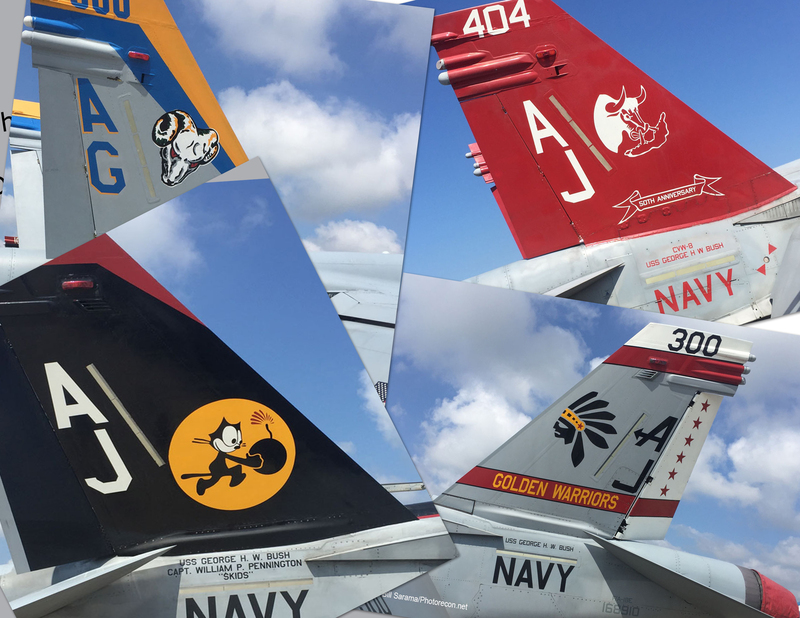 NAS Oceana is the premier F/A-18 Hornet and Super Hornet Master Jet Base for the eastern half of the United States. The following Strike Fighter Atlantic Wings are on base: Carrier Air Wing 1 (CVW-1) (AB) assigned to the USS Harry S. Truman; Carrier Air Wing 3 (CVW-3) (AC) assigned to the USS Dwight D. Eisenhower; Carrier Air Wing 7 (CVW-7) (AG) assigned to the USS Abraham Lincoln and Carrier Air Wing 8 ( CVW-8) (AJ) assigned to the USS George H.W. Bush. Two additional Air Wings will be assigned when the USS George Washington (CVN-73) completes its “Refueling and Complex Overhaul” (RCOH) at Newport News Shipbuilding in 2021 and the newly commissioned USS Gerald R. Ford (CVN-78) comes fully online after final current testing and is deployed for the first time in early 2020. The first arrested landing was accomplished on the Ford on July 28th 2017. The Ford is the first CVN to use an Electromagnetic Aircraft Launch System, advanced arresting systems, advanced power generation systems and other advanced new technologies. Oceana Hornet Squadrons (A+ / B / C / D) include: VFC-12 Fighting Omars / Ambush – the resident Red Force Reserve Aggressor Squadron (C’s) providing adversary training to East Coast air wings out of Oceana in the MOA’s off of the Chesapeake Capes; VFA-34 Blue Blasters (C); VFC-37 Ragin’ Bulls (C); VFA-83 Rampagers (C); and VFA-106 Gladiators (A+ / B / C / D) Fleet Replacement Squadron (RAG) and Training Squadron and the East Coast Hornet Airshow TAC DEMO Team. Super Hornets (E/F versions) include VFA-11 Red Rippers (E); VFA-31 Tomcatters (E); VFA-32 Swordsmen (F); VFA-81 Sunliners (F); VFA-87 Golden Warriors (E); VFA-103 Jolly Rogers (F); VFA-105 Gunslingers (E); VFA-106 Gladiators (E/F); VFA-136 Knighthawks (E); VFA-143 Pukin’ Dogs (E); VFA-211 Fighting Checkmates (F); VFA-211 Fighting Checkmates (F); VFA-213 Blacklions (F); and VFA-131 Wildcats (E). There is also a Boeing C-40A Clipper (B-737-700C) transport squadron at Oceana: VR-56 Globemasters, Fleet Logistics Support Squadron Five Six, FLELOGSUPPRON FIVE SIX, a Naval Reserve Squadron based at Hanger B at Oceana. What’s to know about all these colorful USN Air Wings and Squadrons is that at the Oceana Air Show in September, each one of them plus a few E-2C, C-2A and some helo squadrons that come over from nearby NAS Chambers Field, set up squadron booths on the Static Show Flight Line and are more than willing to sell you tons of squadron aviation stuff ranging from patches, coffee mugs, beer steins, shot glasses, T-Shirts, sweat shirts, photos, posters, key chains, Challenge Coins and lately, baby’s bibs and diapers!! That’s why when you came to the Oceana Air Show, and plan to visit the squadron booths, you better bring piles of K-A-S-H !!! Oceana has a number of important Tenant Commands: a) Fleet Readiness Center Mid-Atlantic (FRC) formerly known as Aviation Intermediate Maintenance Department ( AIMD) Oceana providing intermediate and Depot level maintenance to Fleet Squadrons; b) Strike Fighter Wing Atlantic serves as “Commander” East Coast Hornet and Super Hornet squadrons not deployed; c) Strike Fighter Weapons School (SFWS) where F/A-18 instructor and pilots go for “Graduate” level training in air-to-ground ordinance delivery and air-to-air tactics. (This occurs at the Navy Dare Bomb Range 100 miles to the south in the Alligator River NWR near OBX and out over the Atlantic in the various MOA’s with ACM Gaming with the “Fighting Omars” pretending to be the Bad Guys; d) Landing Signal Officer (LSO) School where new “Paddles” learn about “Calling the Ball”, “Wave-Offs”, “Traps”, “Bolters” and how to grade the Inbounds on “Quarter Mile Final”; e) CVW Command or “CAG Command School”; f) Strike Fighter Composite Squadron 12 (VFC-12), the Navy Reserve F/A-18A+ Hornet squadron that provides Atlantic Fleet Strike Fighter squadrons Dissimilar Aircraft Combat Training (DACTS) in ACM tactics for resident squadrons at Oceana, very similar to TOP GUN training at Fallon; g) Fleet Logistics Support Squadron 56, a Navy Reserve C-40 Clipper squadron that provides world-wide operational support airlift for deployable US Navy Fleet units and shore establishment commands; h) Fleet Area Control and Surveillance Facility Virginia Capes, (FACSFAC / VACAPES), Radio Call Sign “GIANT KILLER”, which is responsible for surveillance, management, and sea and air traffic control of the Virginia Capes “Warning Areas” for training purposes as well as actual “Real World” surveillance duties in support of Homeland Defense; I) Construction Battalion Unit 415 (CBU-415), a Navy SeaBee Battalion; j) Center for Naval Aviation Technical Training Unit (CNATTU) – Oceana, which trains Navy and Marine Corps. Aircraft maintainers with separate schools for A, C and E Hornet aircraft; k) Marine Aviation Training Support Group 33, a USMC training administrative command supporting USMC aviation student and instructor staff personnel assigned to F/A-18 Fleet Readiness and Replacement Squadron VFA-106. NAS Oceana has continued to put on one of the largest air shows in the US every year in September for decades with lots of statics and lots of flying. Yes, since 2010 and because of the Congressionally mandated military budget “Sequester”, there have not been as many active military airframes on the ramp since the “Wild 90’s”, but Oceana more than makes up for the imposed reductions by bringing over more of their own birds, bringing in Chambers planes and helos, inviting more warbirds to come over and getting Jerry Yagen’s crew to send over more of their warbirds from his nearby Military Aviation Museum (the MAM Fighter Factory) over on Princess Anne Road. What’s always cool about Oceana is that usually as you start walking in past the Control Tower near Bravo, you can always count on seeing about 8 CAG Birds in bright colors parked on a 45 on Bravo. Also, after you walk the Static Line, and head for the West Ramp, you will usually find 8 more colorful CAG Birds down by 404 usually arranged in a huge Delta. This year was no exception. This year both the Hot Ramp and the Static Ramp managed to pull in over 70 airplanes up close. On the Hot Ramp near 404, there were at least 21 Hornets, some of which assigned to do the Tactical Fleet Demo, that you can easily see with good 10×50 glasses or a 300 long lens. The cars were allowed in fairly early to park by Hanger 145. You could have had a little Tail-Gate party as you waited for the Opening Bell to ring. The actual Security Gates by the Control Tower opened up at 0830. THE STATIC RAMP: As you walked in by the Tower, the first static plane you hit was the NP-3C Orion from VXS-1 (Scientific Development Squadron One), Naval Research Lab (NRL) Military Support Division working out of Pax River. The NRL at PAX maintains the following research fleet: two uniquely-configured, research-modified Lockheed NP-3C Orion aircraft; one Beechcraft RC-12 Super King Air “Guardrail” SIGINT signal collection aircraft; numerous Boeing Scan-Eagle UAV’s, which is a small 40 pound, 10 foot X 5 foot research drone that is shot from a 45 degree catapult launch rail; and the Navy’s only MZ-2A Airship, an American Blimp Corporation A-170G non-rigid airship, a specialized prop-driven commercial blimp designed as an advanced flying lab for the development of Lighter-Than-Air (LTA) technologies. All of these platforms are are designed for the execution of Airborne Science and Technology projects out of Pax River NAS. The NRL crew was passing out many different brochures and discussing the many NRL display boards they had set up to both the kids and the adults. Next to the NP-3C, was a Classified and Top Secret aircraft, a Boeing E-6B Mercury airborne command post and communications relay platform based on the Boeing 707-300 from Fleet Air Reconnaissance Squadron 3, VQ-3, nicknamed the “Ironmen”, based out of Tinker AFB, Oklahoma, with Dets. at Pax, Travis and Offutt. 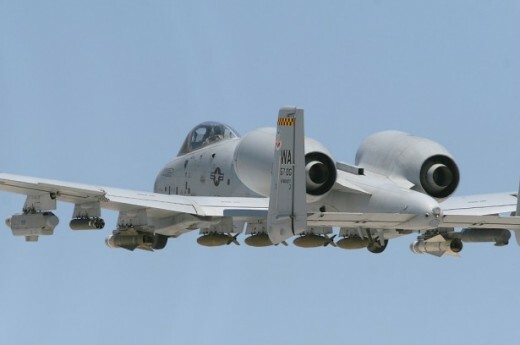 This unique C3 aircraft conveys instructions from the “National Command Authority” to fleet ballistic missile submarines, a mission known as “TACAMO” (Take Charge And Move Out). This E-6B can also control Minuteman-3 ICBM’s using its Airborne Launch Control System. It is part of the Navy’s TACOMO community, whose mission is to enable the President of the United States and the Secretary of Defense to directly communicate encoded messages to US submarines, bombers and missile silos during a nuclear war. The E-6B recently replaced the Air Force EC-135C “Looking Glass” role in providing Command, Control and Communications to US Nuclear Forces should ground-based control become inoperable. There are 16 Mercury aircraft based out of Tinker, with a number of those at at alternate locations. It is noted for its “Open Secret” that when communicating with submerged “Boomers”, it unspools 25,000 feet of copper wire antenna and is equipped with systems that make it capable to communicate on virtually every radio frequency band, on commercial satellites, and on the Internet, using also a secure VOIP system. The planes also act as back-ups for the four E-4B’s NAOC (National Alternate Operations Center) planes working as a ABNCP (Airborne Command Post) plane, hence it’s alternate name, the “Doomsday Plane”. It was understandable that the plane was not open to the public!!! Next to the E-6B and along the fence line was the meat of the show, 7 CAG Birds in bright CO nose and tail colors: an F/A-18E from VFA-143 Pukin’ Dogs from the USS Abraham Lincoln (AG) with “Sans Reproche” nose art; an F/A-18F from VFA-213 Black Lions from the USS George H.W. Bush (AJ) with 105 Bombs nose art; an F/A-18C Wildcats from the USS Dwight D. Eisenhower (AC); an F/A-18F from VFA-103 Jolly Rogers off of the USS Abraham Lincoln (AG) with a black Skull and Cross Bones tail art; an F/A-18C from VFA-32 Ragin’ Bulls off of the Lincoln (AG) with a 40-Bomb nose art; and an F/A-18E from VFA-87 War Party from the Bush (AJ) with “Golden Warriors” tail art and “50 Tomahawks” nose art. Next to the CAG’s was a Sikorsky MH-53E Sea Dragon over from Chambers from HM-14 Helicopter Mine Countermeasures Squadron 14, nicknamed “Vanguard” with a new gloss dark grey paint job. More heavy metal next door: a 1961 Boeing-Seattle B-52H Stratofortress (61-0003) from the 5th Bomb Wing / 69th Bomb Squadron “Knighthawks”, Global Strike Command (AFGSC), out of Minot AFB, North Dakota, with “Old Ironsides III” and “KIAIOKLEWA” nose art. After plowing through the food stalls, all the squadron booths, kids stuff, kids games, patrol boats, Marine MRAP’s and Arty, and all those Corporate Chalets, we came to the next cluster of old and new airplanes on the west ramp: a T-28B Trojan in VA-122 white and day-glo orange training colors; an FG-1D Goodyear Corsair from the MAM Museum in VFA-31 Tomcatters WW2 colors with 2 Jap Kills nose art; the B-25J “Wild Cargo” from the MAM Museum; an Grumman E-2C Hawkeye from VAW-120 Greyhawks, a Fleet Replacement Squadron, over from Chambers; a T-34C Super Mentor Strike Fighter Weapons School Atlantic (SFWSL); an olive drab CAF O-1 Bird Dog “Nasty Break and another O-1 in tan Vietnam camo. Next there was another gaggle of CAG Hornets with a USAF Eagle in slot: an F/A-18F from VFA-11 Red Rippers off the Carrier USS Harry S. Truman (AB); an F/A-18E from VFA-31 Tomcatters off the George H.W. 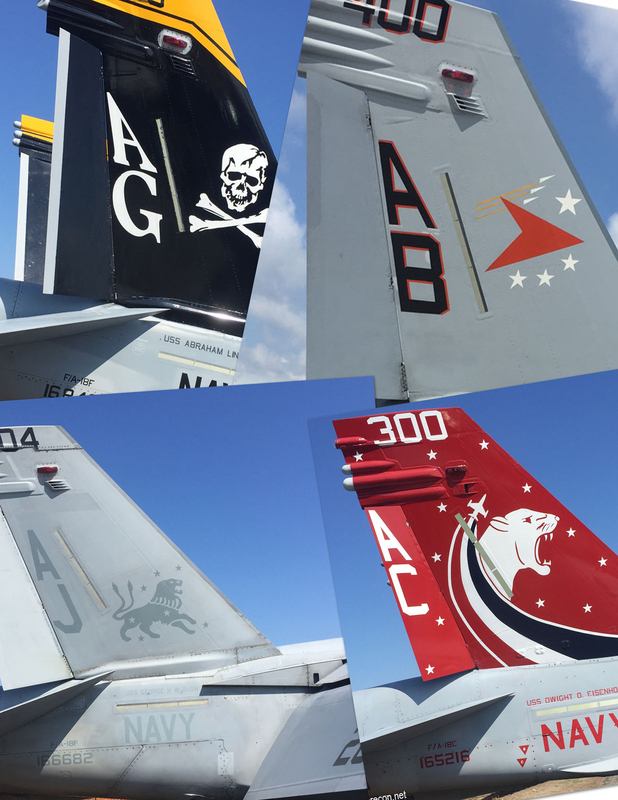 Bush (AJ) with 25-Bomb nose art; an F/A-18C from VFA-83 Rampagers off of the USS Abraham Lincoln (AG); an F/A-18E from VFA-81 Sunliners off of the USS Harry S. Truman (AB); an F/A-18F from VFA-32 Swordsmen from the USS Dwight D. Eisenhower (AC); an F/A-18A+ Hornet from VFC-12 Fighting Omars / Ambush, tail code AF, the Reserve Aggressor Squadron with the Splinter white, black and grey aggressor camouflage color scheme that was recently changed to match the Russian SU-35 Flanker camo color scheme, known as ” Prototype 2 Arctic Splinter Camouflage” also with an “Ambush” side art, red star tail, and a big red Russian ” 04″ on the nose; and finally a lone Eagle in this group of Hornets – a USAF F-15C Eagle from the 159th FW, Louisiana Air National Guard, based out of NAS JRB New Orleans, with “Bayou Militia” tail art and a “JZ” (for Jazz) tail code. Others down at the west end included: a CH-47F Army Chinook from nearby Fort Eustis off of I-64, part of “B” Co. / 5th of the 159th, “General Superintendent Air Battalion” (GSAB); next a CAP C-172 with “Tuskegee Airman” nose art; a 1975 Piper PA-28R-200Cherokee Arrow owned by the Delaware State University from Dover DE; a Beechcraft (really based on a Swiss PC-9 Pilatus trainer) T-6A “Texan II”, from TAW-4 out of NAS Corpus Christi, TX, in training white and day-glo orange; a Sikorsky MH-60S Seahawk helo from HSC-9 “Tridents”, out of Chambers Field, attached to CVW-8 on the USS George H.W. Bush (AJ). Finally, in front of all the Corporate Chalets, you had the six blue and gold F/A-18’s from the US Navy Air Demonstration Squadron “Blue Angels” out of NAS Pensacola, FL, and NAF El Centro, CA. The total Blue Angel compliment includes: 3-A’s; 1-B; 10-C’s; 2-D’s and the single Marine support C-130T aka “Fat Albert” or really to his friends as just plain “Bert”! THE HOT RAMP: The far West Ramp, at Hanger 500, known as the “Hot Ramp”, included all the birds that were going up today to be part of the flying demonstration. All the other Hornets were moved to the East Ramp for temporary parking by Hanger 145. The Hot Ramp included: Two FA-18C’s that were back-up BA-7 and BA-8 if needed; the blue USMC C-130T “Bert” in the distance; an SH-60 Rescue Helo at the far grass if needed; the Short SC-7 Sky Van being used as the 19 passenger Jump Plane for both the Black Daggers and the Skydive Suffolk Jump Team; the Czech Aero Vodochody L-39C “Albatross” from the Warrior Flight Team, aka the “Black Bunny” (all black with a white bunny on the tail) and as “Vandy-1”, dressed in VX-1 colors (the second WFT L-39 was not here); Jerry Conley’s 1946 RAF de Havilland DH-115 twin-tailed Vampire jet in WW2 green camouflage with yellow Invasion stripes, which was the world’s first single jet engined fighter; Bill Leff’s silver gloss T-6 Texan Warbird; two F-16CJ Vipers with the Air Combat Command F-16 Viper East Air Demonstration Team with the 20th Fighter Wing out of Shaw AFB, SC; Bill Stein’s Zivko Edge 540 mono-wing stunt plane with the iridescent paint scheme that actually changes colors as the sunlight moves around the plane; Eugene Nock’s original “Batcopter” (N3079G) from the 1960’s TV series “Batman”, a plastic bubble Bell 47-G3B-1, the first helicopter certified for civilian use in March of 1946; and parked next to the Batcopter; the original “Batmobile”, a modified all black 1966 Lincoln Futura with two bubble F-16 canopies and a thin red trim line around the car (Robin, where are you? ); a 1940 Fairchild PT-19 trainer; Jim Beasley’s gloss silver P-51D-25NA Mustang “Bald Eagle” with a yellow prop nose and Invasion stripes that would be used in the Heritage Flight with a Shaw F-16 later; a low-wing homebuilt Vans RV-7A; a Cessna 172 (Rob Reider’s plane? ); two F/A-18C’s with VFA-106 Gladiators with the East Coast Airshow TAC DEMO Team; Gene Soucy’s Grumman yellow and red bi-wing G-164A Ag-Cat Crop Duster “Showcat”; and finally, at the far end of the Hot Ramp, ten F/A-18 Hornets that were to be part of the Fleet Tactical Air Power Demonstration later in the afternoon. I think that’s about 80 airplanes on the ground – Not Bad! The Oceana Flying Show was to officially start at 1020 and last until 1600, but a number of planes went up early to test the low cloud deck – Bill Leff’s T-6 did a low flat “Teaser” and Gene Nock got his Bell-47 Batcopter up early. The Sky Van launched early with the Skydive Suffolk team to go out and hold for the opening. The F/A-18C Hornet TAC DEMO did a Burner Launch to start his show: the Hornet driver, Joe “Pound” Poundish, came around and first did a high speed pass at Mach 0.95 / 740 mph, cutting it just a little close but giving us a nice vapor cone with the high humidity today. Next “Pound” did a minimum radius burner turn, a Dirty Carrier Approach with hook down, wheels down, then stick forward with a max pitch-up with a high180, followed by a High Alpha Pass with a 25 degree nose-up attitude and a brakes-on 115 knot slow pass, followed by another “Peddle-To-The-Metal” break out, then a Whisper Pass on Idle with a 90-degree turn into another Carrier Break, on Glide Slope, Calling The Ball, trying for the 3-Wire, hoping for a Trap but ending up with a Bolter, going to Mil Power and doing a Go-Around while Rob Rider called the verbal commands for the Carrier Approach. Pound next a did fast Photo Pass with a neat humidity vapor cone and finally a simulated Bingo Fuel refueling demo by “Passing Gas” from a F/A-18 Tanker with a “Buddy Refueling Pack” with a Probe and Drogue connection. Pound came around again, did another high speed Carrier Break and lined up with the Ball and caught the Number-3 Wire for a nice Controlled Crash Landing on the simulated concrete Flight Deck – Nice Show Pound! Finally, at 1050, a little late, Brie Gabriel did the National Anthem as Sky Dive Suffolk exited the Sky Van with three High speed jumpers and three Flag Jumpers as she sang. Next up was the Fleet Air Power Demonstration: The eight F/A-18 Hornets that were holding at the end of 5 Right, did a section take off in full burner with VFC-105 Gunslingers and VFC-12 Ambush leading the way. After a join-up hold off to the southeast, the first piece of this was going to be an ACM demo with two Aggressors and two Gunslingers but Flight Lead called “Knock It Off” due to a low cloud deck and VFC-12 aborted. However the WX did not prevent the the low CAS demo and the 2-ship ground pounders were “Cleared Hot” by the JTAC Ground Controller to engage the “Bad Guys” with a CAS and CSAR Demo: Candy 2-1 and 2-2 were “Cleared Hot” to come in low in the weeds while “Welcome To The Jungle” rock music played loud, with a “Good Hit” while “20-Mike-Mike” successfully hit the target, courtesy of the “Firewalkers International” pyro crew blowing up the place! Next Candy 1-2 was on Bingo Fuel and needed to “Top Off” with an Airborne Tanker Refueling from Gypsy 3-1 with a hose and drogue In-Flight Refueling Demo. That 8-ship went out over an Ocean MOA to hold for a while and recovered a bit later. That Sky Van Jump Plane came back next and exited its reminding jumpers, the USA SOC “Black Daggers”, with a LALO insertion drop demo from 3,000 feet due to the low cloud deck, but No Go!!!! They had to abort at the last minute due to a very low ceiling. The Sky Van cleared the Box and the remaining Fleet Air Power Hornets recovered at Show Center! First we had a 4-ship diamond come in with a sequenced tactical break followed by Number-5 in a high speed solo pass with good music background with “High Roller” (“This Transmission Is Coming To You…..”) by the Crystal Method and later Bruce’s “Born In The USA”, then a series of five Carrier Breaks, Calling The Ball, and 3-Wire Traps in 10 second sequencing. The taxi back to the Hot Ramp was close to the crowd line with a Final Ramp Check right at the west fence line corner, perfect for the shooters! Neil Darnell was up next with his “Flashfire Dodge Jet Truck”, a painted up pick-up with Pratt & Whitney J-34 jet engine from a T-2 Buckeye giving a 350 mph and 12,000 hp kick with flames, white smoke and ear splitting explosions! Then came Dan Buchanan, the handicapped pilot taking his jet-powered hang-glider up for his quiet demo. Bill Stein took his Edge-540 stunt plane up next for a fine aerobatic performance and did a “Ribbon Attack” on Dan’s glider on Dan’s 6-O’Clock. Then the Warrior Flight Team’s Black Bunny L-39 “Vandy-1”, dressed in VX-9 Test and Evaluation Squadron colors, took off for a nice single jet demo without his usual wing man this time. Skydive Suffolk was back next for a 6-man high speed jump after the weather cleared up. Gene Soucey was up next with his brightly colored Grumman bi-wing Ag-Cat crop duster show demo and later Jim Beasley with an outstanding P-51 demo. The Viper East Demo Team out of Shaw AFB was next with a F-16CJ driven by its famous Stick, Maj. John “Rain” Waters in his Fighting Falcon doing first a burner take-off, then a Cuban-8, a high speed pass, a series of rolls, a high speed high-G 360 into a Max-Climb Vertical ending with a high speed photo pass. The Viper and Mustang next joined up for the very patriotic Heritage Flight routine. Next up was Jerry Conley with his colorful 1946 twin-tailed de Havilland RAF DH-115 Vampire jet for a slower more graceful routine. Skydive Suffolk was having a very busy day; they were up again and this time teamed up with the USA SOC “Black Daggers” for a joint High-Speed Drop and a Tandem-Drop from 10,000 feet after the weather cleared and we got some blue sky again. 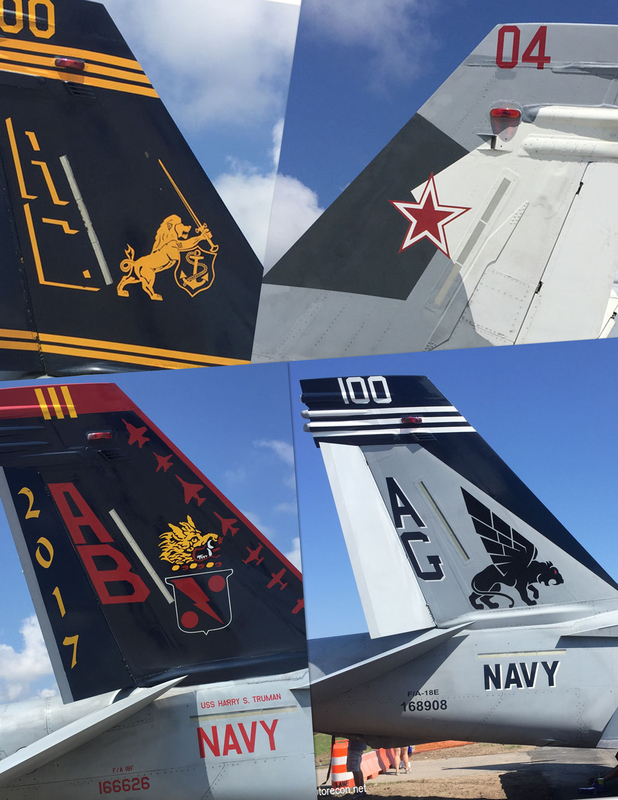 VFC-12 “Ambush”, the Red Air Aggressor Squadron, next had a Mid-Air Change of Command Ceremony, launching two Red Air F/A-18C’s in their new split grey-blue color scheme and two in their current Arctic Splinter grey-black camo color scheme and a single standard grey Hornet in slot. Kind of cool to have the Command Change “Oath of Office” protocol verbal commands given while the old and new CO’s are driving their 18’s over the crowd. After the five Aggressors recovered, a classic 1960’s 700 hp Dodge Charger did some loud and smokey burn-outs in front of show center. I love the smell of burning rubber on concrete! After the smoke cleared, Gene Soucey took his Super Crop Duster Ag-Cat. “Dutch”, who was the Hornet Demo Announcer last time, this time did the second F/A-18 Demo, and it was just as exciting as the morning demo when “Pound” was the driver. Next we had the Edge-540 stunt plane racing the Jet Truck this time; always a great loud smokey show. I think the Jet Truck won…as usual! Finally it was 1500 and the “Blues” went up without Bert this time, for their traditional near-perfect 45-minute show that we all know so well. NAS Oceana did it again! Another Perfect and Exciting Air Show! See Ya’all in September for another one!!! Get ready, the next NAS Oceana Air Show is on September 22-23, 2018.